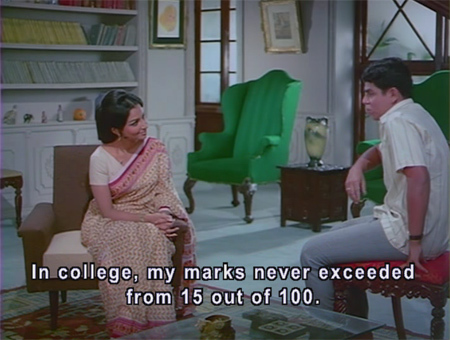 We meet gorgeous Neela (Sharmila Tagore) and painter Avinash (Rajesh Khanna) in their class at medical school. Avinash gets in trouble when the professor, Dr. Chandra (Ashok Kumar) catches him sketching Neela instead of paying attention to Chandra’s lecture. Neela and Avinash discover that they are neighbors and a friendship is quickly formed, especially when Neela discovers that Avinash isn’t well. Neela lives with her brother, an aspiring but not very talented playwright named Kalidas (IS Johar) and sister-in-law Laxmi (Aruna Irani), and it’s not long before Avinash is making himself at home with them and vice versa. I love the constant bantering and teasing that goes on between these four, with Avinash the main instigator. Even with bad subtitling it makes me laugh along with them. Although medical school appears to be something that you can attend at will, Dr. Chandra is very fond of his young protege Neela. He gets her a job tutoring the younger brother, Monto (Mahesh Kothari), of a wealthy friend of his. Monto is not fond of studying and has managed to fail his exams spectacularly several times. 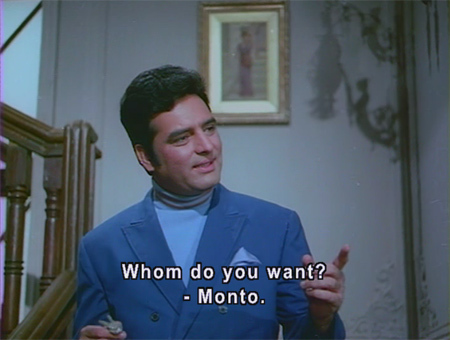 Monto is quickly won over by sweet Neela, and when his older brother Shekhar (Feroz Khan) gets a look at her, he is smitten immediately. Avinash doesn’t go to class at all as far as I can tell, preferring to spend his time painting portraits of Neela, singing beautiful songs by Kalyanji Anandji and teasing his neighbors mercilessly. There is sadness hanging over his head though, and we find out what it is when he goes to see Dr. Chandra. Nooooo!!!!! May I say that I am delighted to see Nadira as Shekhar’s mother although she isn’t very nice to poor Neela and thoroughly disapproves of Shekhar’s obvious feelings. I read somewhere that at the premiere of this film Meena Kumari remarked on the fact that Rajesh Khanna looked awfully healthy for a cancer patient, a comment which Nadira promptly took back to Rajesh! Love her. Nevertheless, Shekhar is determined to marry Neela, and talks to Chandra about it; Chandra advises him to see Neela’s brother and also Avinash. When Shekhar approaches Kalidas with his proposal, Kalidas himself tells him to take it to Avinash. Shekhar does so, and Avinash promises to speak with Neela on his behalf. He shows her his medical report and tells her that he wants her to marry Shekhar and embrace life instead of waiting for death with him. She protests, but he refuses to listen and she finally relents. 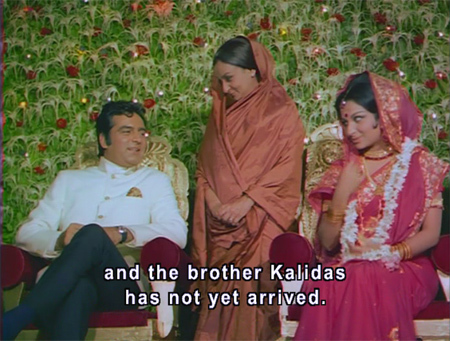 Kalidas shows up at the wedding eventually but Avinash does not, which puzzles Shekhar—and makes him a little suspicious. Avinash stays at home in the dark and as the sun rises we hear a train pulling out of the station. So much of symbolism in this film! As the days pass, Neela grows fond of her new husband but the little seed of suspicion planted at the wedding itself grows quickly into a prickly bush as Shekhar sees how much time Neela spends with Avinash (Neela of course is worried about his health). Since they don’t talk to each other about the issue, it just gets worse. Then Shekhar’s business goes bankrupt (he doesn’t tell Neela about that either—although to be fair, it is in the news) and he finds what he thinks is “proof” of Neela’s love for Avinash. This leads to a final confrontation between him and Neela. What happens next? I’ll give you a clue: nothing very happy. It’s even repeated early on in Neela and Shekhar’s marriage. My main problem with this film is that Neela doesn’t actually keep on moving (the story is told in flashback from a gray-haired Neela’s point of view). After Shekhar’s death, she retreats into a life of medicine and saving others—but she gives up on any chance for love and happiness in her own life. This seems to win her universal approval (I guess she’s behaving like a proper widow should) but it just makes me mad to see someone so young, vibrant, beautiful and intelligent give up on the things that make life worth living. She doesn’t even see Avinash before he dies. I want to scream at her: “Stop with the self-sacrifice already!” Sigh. It’s really my biggest cross to bear with Hindi films. In all, it was a bit of a mixed blessing for me. The characters were flawed but likable, and there was a great deal of humor. All the actors were up to the mark; there was no scenery chewing, although there was certainly scope for it. It wasn’t melodramatic. The songs, as I said already, were lovely too. I just wish it had played out differently for Neela, and in general it felt a little rushed through the second half. But the film’s charms compensate for its bad points, and it was nice to spend some time with Feroz. What a man! Posted on April 28, 2009 at 5:48 pm in Hindi movies	| RSS feed You can skip to the end and leave a reply. When I saw this one looooong ago I felt really sorry for Feroz as Sharmila preferred Rajesh and I really couldnt figure out why! Guess she couldnt figure out which handsome guy to love and they both look super handsome in your screen caps! lol And ya, that post-marital misunderstanding was very sad and I didnt like how it all ended, either. Or Hollywood for that matter :-) I loved the Feroz-Rajesh combo—they are such different characters and it also made me sad that they couldn’t become friends (in the film I mean)…they would have been good for each other! Haven’t seen the movie, but…what? BOTH of them die? Not fair at all!!!! Indeed, communication gap is what fuels Bollywood movie plots, that is those movies which actually have plots. Yes, and as I said above—Hollywood too! 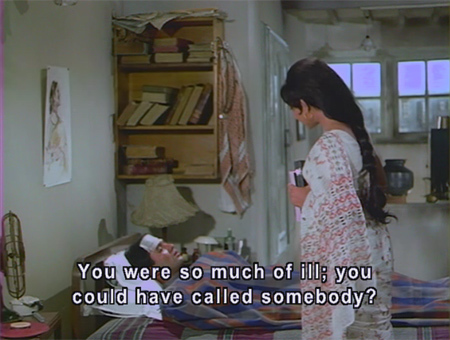 Poor Memsaab–this totally flies in the face of that cardinal rule of yours about folks not dying on you! 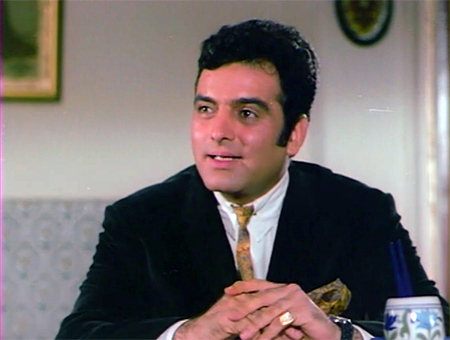 I loved the film of course :-) A great one for your tribute to Feroz Khan–he considered it as one of his best roles. Here’s something from Rajesh Khanna as told to Bhawana Somaaya from “Echoes of an Era” published in the Junior G magazine. He was great in this, and so was Rajesh :) Everyone was—it is a superbly acted (and directed) film. A better ending would have raised its stature for me a LOT!!!! My Cardinal Rule broken time and again. Gah. Star Cast : Super Star Rajesh khanna, Sharmila Tagore, Aruna Irani, Feroz Khan & Ashok Kumar. One of 1970,s Super hit movie Safar directed by Asit Sen and starring the then hottest pair of Bollywood Super Star Rajesh Khanna and Sharmila Tagore. Super Star Rajesh Khanna dying of cancer. Devil may care attitude towards his death, here the mood is more sombre. Safar is a very good movie, its emotionally intensive and could be very depressing at times. Safar is a classic of its own. It offers one of the best look into human relationships ever seen in a Bollywood movie. Safar is a story of 3 characters and how their lives are pulled apart by destiny Avinash – Super Star Rajesh Khanna, The main protagonist who is an artiste at heart and a painter by profession. The next door neighbor of the heroine, he knows his life is short lived, suffering as he is from cancer. Avinash, is more sombre and philosophical. He is aware of his impending death, and takes it stoically, he wallows often in bouts of depression, He asks the girl he loves to marry another man, but yet he experiences immense anguish at this. Neela – Sharmila Tagore, the heroine who is torn between two different men in her life. Avinash the man whom she truly loved but who could never be hers. Shekhar the man who loves her immensely, yet who could never understand her feelings. Struggling to make ends meet, she finds a help in Shekhar, but his love is obsessive. One man whose life is being eaten away by death, and one man who is living but consumed with jealousy. Shekhar- Feroze Khan The third angle of the triangle, the other man. A tremendously rich businessman and one who loves Neela dearly. Yet a man who is unable to face failure. A man who is insecure and jealous. Some one who cant stand his wife meeting another man, even if she is doing her job as a doctor. Some one who tries to escape from his business failures by trying to pin the blame on his wife. And who is ultimately consumed by his own insecurity and jealousy. Avinash and Neela are neighbours. While Neela is a medical student, Avinash is a painter by profession and a poet also. Both of them fall in love with each other, but tragedy lies in the wake of cancer, which Avinash is suffering from. In the meanwhile Neela takes up tutions for Montu, the brother of a rich businessman, Shekar to supplement her family income. Shekar falls deeply in love with Neela and proposes to her. However Neela is too deep in love with Avinash and though she knows that Avinash is fated to die, still hopes he would live. Avinash however knows of his impending death and asks Neela to marry Shekar so that she could lead a happy life. In the meanwhile Avinash is attended to by Dr.Chandra ( Ashok Kumar), and Neela marries Shekar. However Shekar doesn?t take very kindly to his wifes visits to the hospital and her attending on him. And when his business fortunes nosedive, he tries to divert himself by obsessing over Neela alleged infidelity. Safar is a very tragic movie, it has an emotional intensity that grips you and just doesnt let go Especially brilliant are the scenes between Dr. Chandra and Avinash at the hospital. One scene does stand out, when Avinash asks Dr.Chandra how long he is fated to live; Dr. Chandra simply tilts the hour glass and as the grains of sand fall, Avinash realizes the answer. Also the scenes showing Shekar’s bouts of jealousy towards Avinash are well depicted. Shekar’s death scene is chilling and really haunts you. On the flip side, the movie drags a lot in the end, with a whole lot of unnecessary sequences thrown in without any relation to the story. Also why Neela leaves Avinash unattended when he is dying is not explained. Neither does why Shekar’s mother (Nadira) who is against their marriage, suddenly undergoes a change of heart and acquits her daughter in law in court is explained. 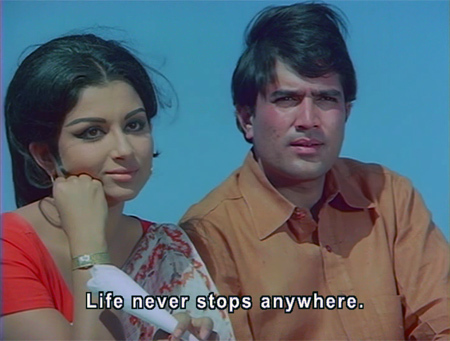 Safar – 1970 of Super Star Rajesh Khanna is a life affirming film,portraying never ending quest for life even in one’s dying moments.What is natural about the film is that the death cannot snuff out what life has bestowed in person’s life though death is permanent. Super Star Rajesh khanna of 70’s older cinema is convincing as a die hard life portagonist.It is contribution of Super Star Rajesh Khanna to Indian cinema ,now more commonly called bollywood that a death denying role portrayal has been played by him. No other actor has played such death denying and life compulsive roles in Indian cinema. Sharmila Tagore also puts in a good performance as the woman who is torn between love and desire. However her pouting does spoil things at times. The surprise packet is however Feroze Khan as Shekar who knocks you out with a power packed performance as the obsessive, jealous husband. Now who is no more may he is soul rest in peace. I agree that Sharmila’s character was the most underdeveloped—her motivations for many of her actions were not made clear. And yes, the Super Star is very very good—it’s one of his best roles, I think…and also one of Feroz’s best. Feroz Khann was a great actor and director. He and Super Star Rajesh Khanna worked together in two movies Aurat – 1967 and Safar in 1970 and he performed well in his role. May his soul rest in peace. I’d be very surprised if you liked “Aurat” – it takes self-sacrificing womanhood to extreme and icky levels. Yes even rabid Rajesh fan Suhan warned me about Aurat. Still, I will need to see it :) I’ve been wanting to see Suhaagan as well, it’s one of the few Guru Dutt films I haven’t seen yet. Re: Guru Dutt, if you can find it, see Sautela Bhai. I hate films with sad endings, but this one managed to redeem itself a bit by being likeable in the first half (I especially loved I S Johar’s character: so good!) – and the songs, of course, were absolutely sublime. Each one’s a gem. The first half was such fun—I just loved IS Johar and Sharmila and Rajesh together. Their joking and clear affection was a joy to watch. To introduce myself, I am a trainee with Screen, an Indian Express Group publication. Came across your blog and found it quite interesting. We have just started a blog post section where we feature an interesting exceprt or two from the blog along with a short intv. with the blogger. Would like to publish excerpts from your write up on Land Gold Women. Could you please help with your contract number and email id for further correspondence. Anyways, already sharing the questions with you. Who inspired you to start blogging? When did you take to it? Why did you choose to blog on Bollywood? What new stuff can we expect from you in the near future ? How has been the journey so far? Oh, I didn’t know it ended that way. For some reason, I’ve only seen the flashback bits, it seems. I agree with you totally, I’ve never understood that self-sacrifice bit, either, it makes my blood boil. And I keep wondering how many women get these values reinforced in their real lives because they see them glorified in Hindi films? There aren’t a LOT of women directing anywhere. There need to be a lot more! I don’t know about “need to be a lot more!” – I don’t watch or judge a movie based on whether it was directed by a guy or a gal. I remember this movie as a very sensitive film with touching moments and hardly any melodrama. As bollyviewer has already said, we won’t have any plots if everybody started talking with each other about everything and clarify. People don’t even do that in real life. They visit the “Conflict management” workshop and forget it the moment they reach home. People talk about all the nonsense in the world but not the things which would really matter WITH THE RIGHT PERSONS!!! So, there! Now I’ve said it! I also don’t understand why they don’t let widows remarry in movies and give people a role model. No, not in a moral science movie like bhabhi but put it as casually as possible and make it look totally natural. If it was necessary for the plot that she does jana seva (help people) they could have still shown her happily married to some doctor (a la Apte couple) and doing research or living in a village and helping poor people or living in a city and helping people in the slums like the character of Ramesh Deo does it in Anand! Now, that was funny! Please don’tmind my saying this, but Feroze Khan looks a lil bit tired in this film. Maybe it has got to do somehting with his psyche in the movie. I know, communication is hard…but I lose patience when people are making each other miserable and an honest discussion would clear everything up and they just can’t do it. My two cents on the whole issue of Neela’s (Sharmila) life post RK and FK. (a) I didn’t see Neela not turning up at Avinash’s bedside as he lay dying as self-sacrificing. She’d been under the impression that he’d flown the coop as soon as he’d heard of Shekhar’s death and had nursed a grudge about his cowardice all along until advised otherwise at the last minute by Ashok Kumar. And then duty called, etc. etc. (b) B…y unlikely that she’d get many suitors after having been hauled up in court for murdering a husband and having a lover on the side despite being acquitted. I’ve known people (one particularly beautiful, intelligent and young) who got divorced and never found love again because of the supposed stigma attached to a failed marriage, and possibly, all that tosh about not being “pure”. This was in the late 80s. We’re talking 1970 in Safar. Hopefully, attitudes have changed considerably since then. (c) There were no knights in shining armor waiting at the wings—she’d had two and both were gone. In the absence of any reciprocity of interest from her side, however beautiful and smart she might be, she ain’t getting the eyeballs that will linger from others (regardless of the Hindi film heroes’ penchant for ‘stalking’ an uninterested party and achieving success). (d) In conclusion, she’d probably had had enough of love and wanted nothing to do with it. Conversely, even if she was inclined otherwise, it was a difficult situation given the history. Ha! I love it! :-) I should have maybe made it clear that I didn’t think she necessarily should have found love again (although I think leaving yourself open to the possibility is much healthier than not); but that she should have been able to be happy again. She didn’t strike me in her older avatar, or in her immediate post-widowhood life as being particularly happy. Busy, certainly, but not happy. 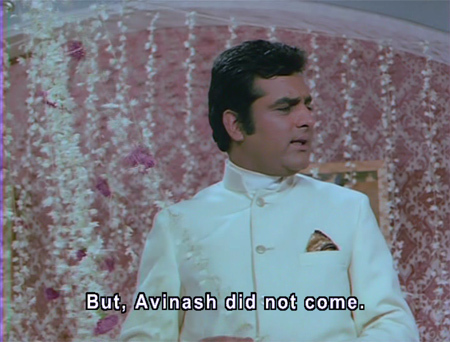 The Avinash thing was def. her being angry until it was *almost* too late, but the whole idea of duty winning over personal relationships (as it did, causing her not to see him much as both wanted to see each other) is just bull in my book. I totally agreed with Monto on that! There was no reason Dr. Chandra couldn’t have covered for her! Or someone else, but Chandra instead sent her off to see her patient instead of her friend/love. Ugh. I have a feeling that set the tenor for the rest of her days. All I know is, I used to have the song “Zindagi ka safar” on loop on my system for weeks till threatened with physical assault. I avoid as far as possible Rajesh K movies with songs I like, destroys the music for me. Now what do you think of the attached below? It’s from the comments section of a piece on the film in ‘Passion for Cinema’. “It’s one of my favorite films, and not just for the songs. I thought the film was handled with great maturity….the friendship between Rajesh Khanna and Sharmila Tagore with intense, restrained sexual undercurrents (almost came to the forefront in that scene when Sharmila Tagore slices the sleeve of Rajesh Khanna’s shirt..). ….. Everyone thought it [Kal Ho Na Ho] was a copy of “Anand”, just because SRK has a terminal illness. But it was much closer to “Safar”, what with the love triangle and all. But look at the difference in the handling, the ambiance, the mood of the two films. 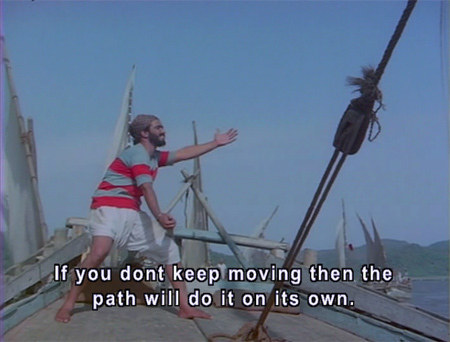 Safar was so much more mature, sensitive, candid, philosophical….it had thought, it had soul behind it. It had immense class. I especially loved the characters of Safar…..Ashok Kumar as the elder, veteran surgeon and mentor to Sharmila Tagore was simply brilliant. God how I miss the kind of dignity those characters (and of course those actors) can lend a film. 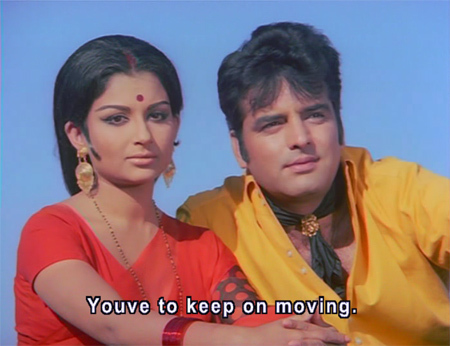 To this date I think its one of Feroz Khan’s best performances. He was sophisticated but highly insecure. Thus him him prone to jealousy was very realistic. The way it ate him up inside was so visible, despite the fact that in most portions of the film where he has very little dialogue. In fact, the way director Asit Sen handle’s the pivotal “Shekhar” character makes all the difference. You can tell the character always felt like an “outsider”, wanting to be involved but never quite achieving it. 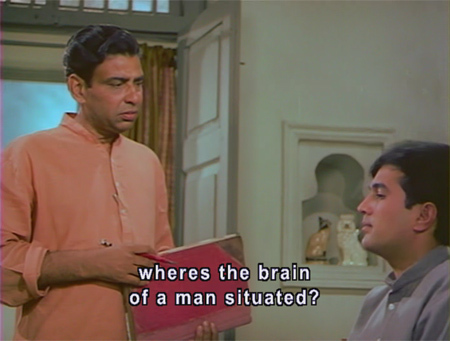 His scenes with Rajesh Khanna (namely where Shekhar goes to Avinash to discuss him proposing marriage since he’s been told that’s her best friend) were so layered, so much complexity and handled with such dexterity. Kal Ho Na Ho WAS like Safar! Never thought of that. I agree completely that the characters and situations are handled with maturity and dignity—it’s a very classy film indeed. I have no problem with Ashok K’s performance either, it’s his character that I found unlikable. I didn’t see why he would send Shekhar to speak with Avinash for one thing—surely both he and Kalidas knew that there was a romance brewing between him and Neela. I know that he was concerned about Avinash’s diagnosis, but still—he was inserting himself into a place where he didn’t have any business being (like at the end as I discussed above)…But I agree re: it being one of the best roles for both Feroz and Rajesh, although I found Feroz’s descent into “madness” a little glib (not from a performance standpoint, but from a story standpoint). His bankruptcy and the development of his suspicions happened just too abruptly. I would like to see Aurat, their other film together! I loved the dialogues, especially from the first half—even subtitled badly, they were impressive. 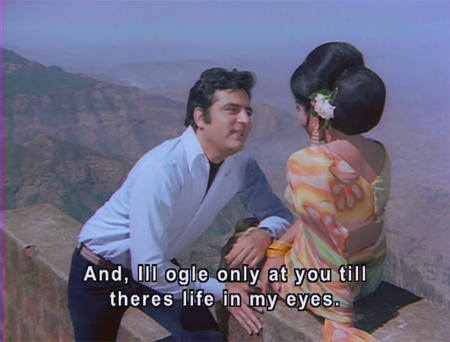 Oh those wretched subtitlers and their mangling of the dialogues :-) I.S. Johar was really pretty brilliant here and I have yet to see Aruna Irani in such an atypical role. This seems like a lovely film but I understand your frustration. Too often the Heroines have underdeveloped characters and vague motivations – better actresses are able to give the characters a bit of a spark, like Asha Parekh, but Sharmila is not strong enough to bring it without a good story behind her. Perhaps those words apply to the film too? I loved this movie when I last saw it in the early 90s. I must admit I had seen it as a very young boy in the early 70s and had got depressed with the ending. Heck, there is a reason why 99% of movies have a happy ending. But for the ending, this is a top-quality film. There is amazing sensitivity, nothing garish or outlandish – entirely in keeping with the backdrop of the locale. Kishore Kumar, Lata Mangeshkar, Manna Dey and Mukesh. The boat song – with one scene having Sharmila offering Rajesh peanuts out of a paper-peanut-holder (the types you see in India) – is so natural. Your comment about “it was none of Ashok Kumar’s business” had me ROFL. That is one reason I love your reviews/comments. Your take is so refreshing. That last comment was from me. Sorry, did not realise my id was not automatically appearing. I liked Safar because it was so Rajesh Khanna. I used to be a big fan of his. But somehow along the way I let his off screen personality affect my liking and then didn’t feel so excited about seeing his super handsome face on the screen anymore. Then of course, Shammi ji came into my life and there I went. He is great off and on screen and that made my day. Can anyone explain the staring in India? Anywhere you go, why does everybody stare at you? It is really annoying. Of course, they do it here too, but it is considered socially rude so they do it in a hidden way. Rajesh is v.v. handsome in this. I don’t know (or care) much about how he is off-screen, but I like my eye candy however I get it :-) Although he can never take Shammi’s place for me!! I forgot to ask Memsaab if you saw Ramayan where Dara Singh plays Hanuman. Its loads of Dara Singh since there are many parts to the tv series. No but Dara Singh as Hanuman seems like something I need to see! Hema if u were a big Rajesh Khanna fan, I presume u grew up in India. Unless you are of Indian origin from other parts of tthe world (quite natural too). I was wondering at your question about staring. In countries like India and China, I think people stare out of curiousity more than anything else. It is considered rude in western societies but not in others. I am not justifying staring as it can cause a bit of bother to people. Can I look at them and make a face back? It is rude here, so that would mean it is okay there? I’d love to watch this film someday..
CONGRATS MEMSAAB! I just read the cover story on You and Your Blog in the latest edition of FILMFARE. Wish u lots more… Regards! Thanks, Harsh :) One of my friends sent me a scan of the pages, and I’m very pleased to see it too…they did a nice article. Please do keep coming back! 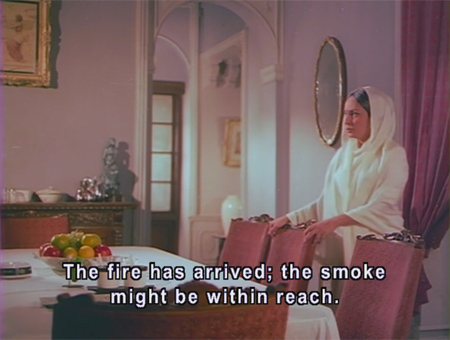 By the way, Considering your love for Shashi Kapoor, I’d like it if you give a watch to Shyam Benegal’s Junoon (1978). He is quite ‘different’ from what We generally get to see him in & as. Not to mention a fine piece pf period drama the film otherwise too is. Do give it a try! LOL thanks for the warning :-) Remember that I have seen about 700 Hindi films at this point so chances are good that I’ve seen the more usually recommended ones. But you can fire away by emailing me at memsaabstory at gmail dot com! Very sad movie.Songs are eternal in that movie.”Zindegi ka safar” is speech less. I thought the irony here was thata Avinash outlives Shekhar. The widowhood that he was trying to avoid for Neela came to her anyway. I thought it was warning not to meddle with the affairs of fate, as Avinash tries to do, in the process he harms 3 lives – his, neela’s and Shekhar’s. But what I really really love this movie for – the amazing songs – Jeevan Se bhari and Jo tumko ho pasand, AND FEROZE KHAN. He looks so HANDSOME. Had I been Neela, I would have clung to my gorgeous husband. I simply flipped over the coloured jackets he wears and his stylish pauses while descending the staircase. 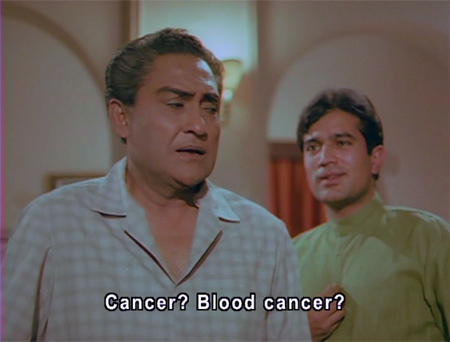 Haha at Meena Kumari’s comment that Rajesh looks too healthy to be dying of cancer. You make an excellent point, Ava! I hadn’t even really thought of that—but yes, a very good lesson in meddling indeed! And I would have clung to Feroz as well, not only is he gorgeous but he was so clearly smitten with her too. How could she resist it? Good for you Meenaji. There was gossip that Rajesh was awful to her during the shooting of Dushman. I suffered through this one. The suicide, the mistrust, the dying painter. And when Sharmila affectedly used the back of her palm to wipe off her tears in Hum thay jinke sahare, I cringed. I think it’s time I got myself a second dose of this suffering, to appreciate it better. First, thank you for this amazing site. I wandered in yesterday and can’t leave! Safar is the Hindi version of the Bengali film Chalachal which is adapted from the famous Bengali novel. It is a serious novel, hence the sad ending. I love this film for its sensitive tone, lack of melodrama and interesting plot. The songs are fabulous as well. I agree with your comments about Indian widowhood portrayed in films, but this film is merely following the novel, which does not have a happy ending. The problem is that the film ends abruptly. But I do think the lack of a happy ending makes it far more memorable, Think of the Hitchcock film Suspicion where Cary Grant was supposed to be the murderer, but he did NOT want his image to be tarnished, so it became a happy ending! Khamoshi is another film by Asit Sen which is unusual and good. A remake of the Bengali film Deep Jwele Jai, it starred the divine Waheeda Rehman and Rajesh Khanna. While the Bengali film was a hit, Khamoshi sadly was not a commercial success, because of the unhappy story. Lovely film though. Welcome :) I saw Khamoshi a while ago, before I started writing this blog. I need to revisit it! Safar where all suffer…. Avinash.. from Blood cancer ……..Shekhar from Jealousy and Neela a lonely life…. what a way to bring two suffers/ safars together……. Story has it that LP composed the music for safar only bcos rajesh had a tiff with RD during that time. Also, I think feroze looked too bulky to be compared to kaka who was radiant. However, the scene showing kaka’s death is abrupt & not filmed well. Sharmila;s acting was a highlight. 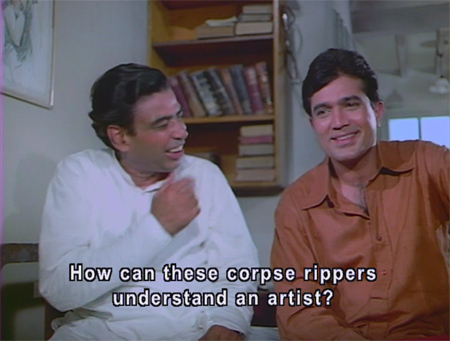 Rajesh khanna puts in an unhurried performance & his scenes with I.S Johar are pleasing.